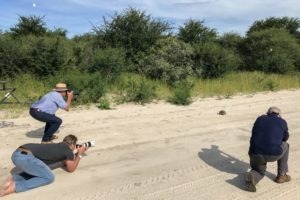 "12-tägige privat geführte mobile Safari in Botswana"
Dieser von Craig Parry veranstaltete Workshop zum Thema Tierfotografie bietet die Möglichkeit, Eure Fotografie-Kenntnisse auf die nächste Ebene zu bringen. 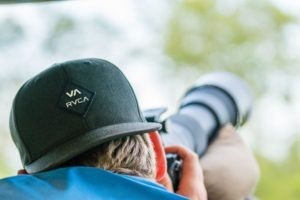 Craig wird sein Insider-Wissen und Tipps und Tricks teilen, die er während seiner 20-jährigen Karriere als Tier- und Naturfotograf gesammelt hat. Da diese Safari in englischer Sprache angeboten wird, sind die folgenden Inhalte in Originalsprache verfasst. 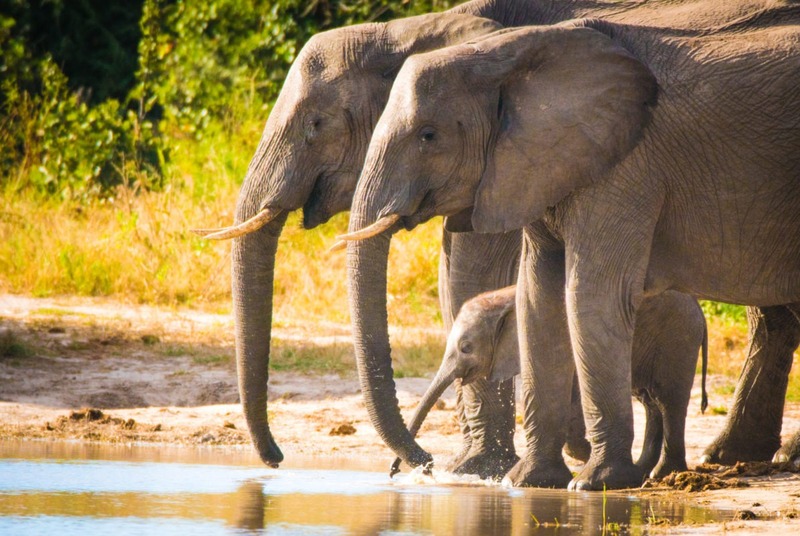 Botswana is our favourite destination for safaris in Southern Africa. 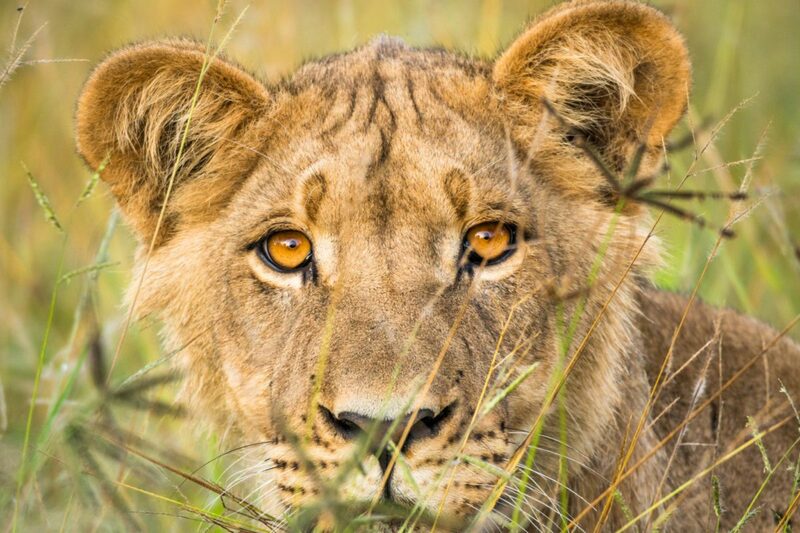 With a low population of just over 2 million people in a country roughly the size of France, about 39% of its land is set aside as protected wildlife areas making it a true nature conservation success story and a nature photographer’s paradise. In 2019 we’re offering you the opportunity to head off on an adventure like no other to explore this untamed country. Over the course of 12 days you will have the opportunity to immerse yourself in the ‘real Africa’ whilst taking your photography to the next level through the tuition of your host – Sony Global Ambassador and award-winning nature photographer Craig Parry. Alongside Craig, an expert local guide will accompany you all the way. He knows the African bush in depth and will be sharing his knowledge and insights with you as you go. Travel with and learn from world renowned nature photographer Craig Parry. Use of one of the best safari vehicles around, The Beast (a specialised photography game viewer). 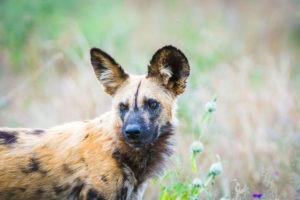 Excellent wildlife sightings and great photographic opportunities. 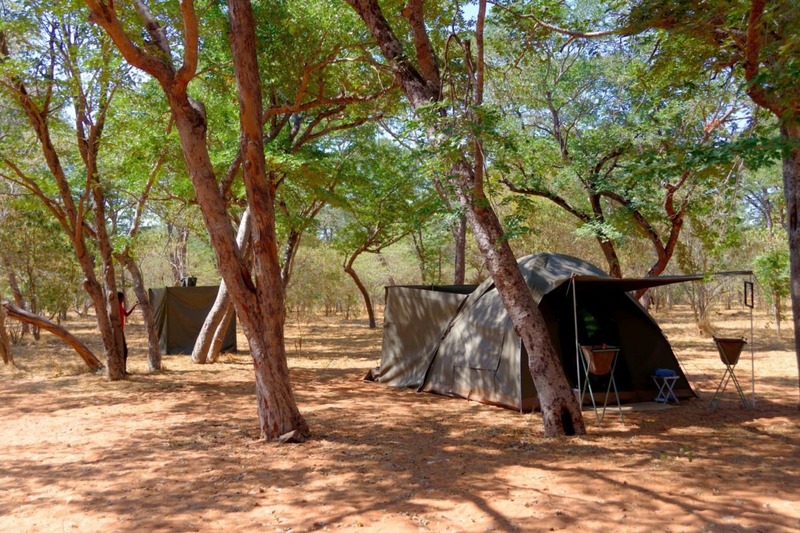 Accommodation in a low impact mobile safari camp across 3 different locations. Boat cruise in the Okavango Delta and Chobe River, a must when visiting these areas. Travel around as one exclusive small group with an experienced, local guide. 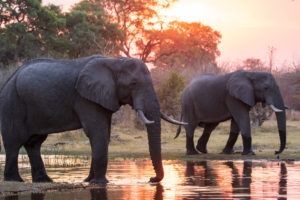 Explore the famous areas that are Moremi, Khwai, Savuti and the Chobe River. 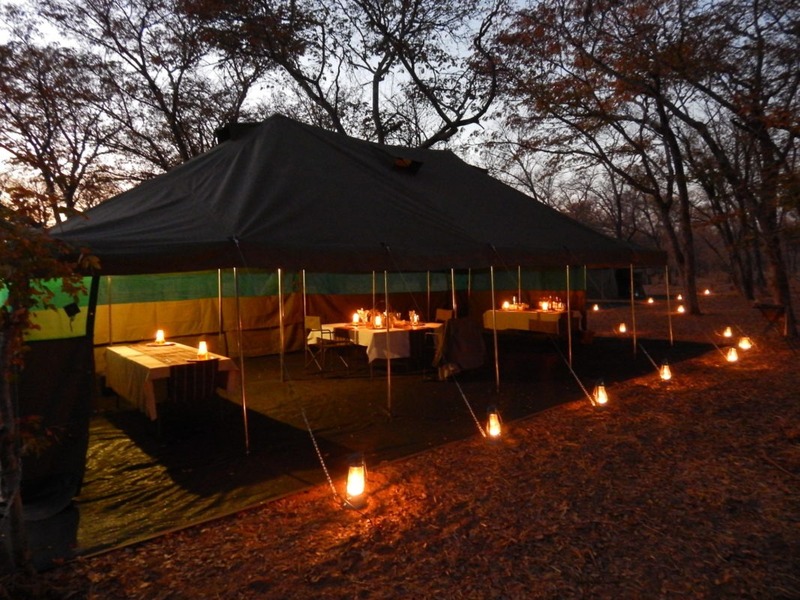 Sleep in comfortable tents in the true wilderness areas of Botswana. 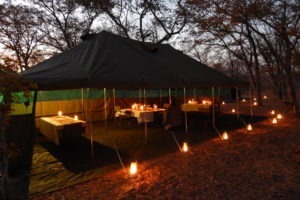 Have a dedicated team set up your camp and cook delicious meals on open fire. 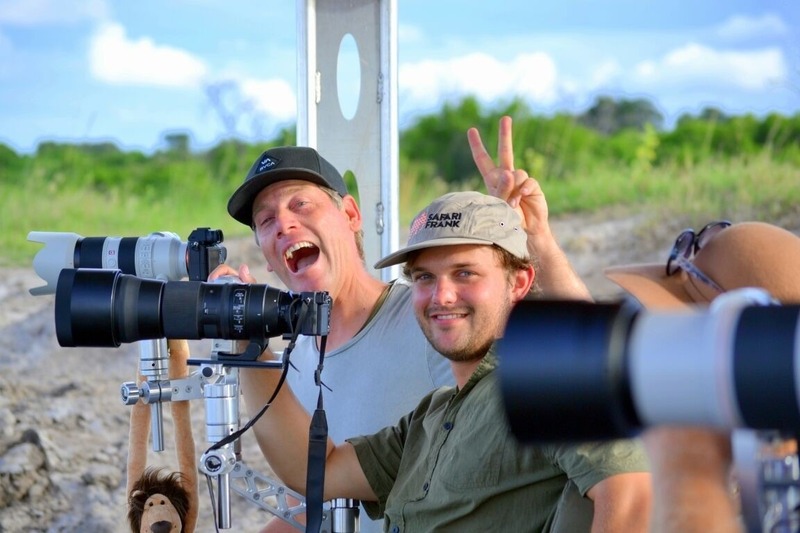 Day 1 – Arrive in Maun around midday, meet Craig and your local guide, set-off to the bush. 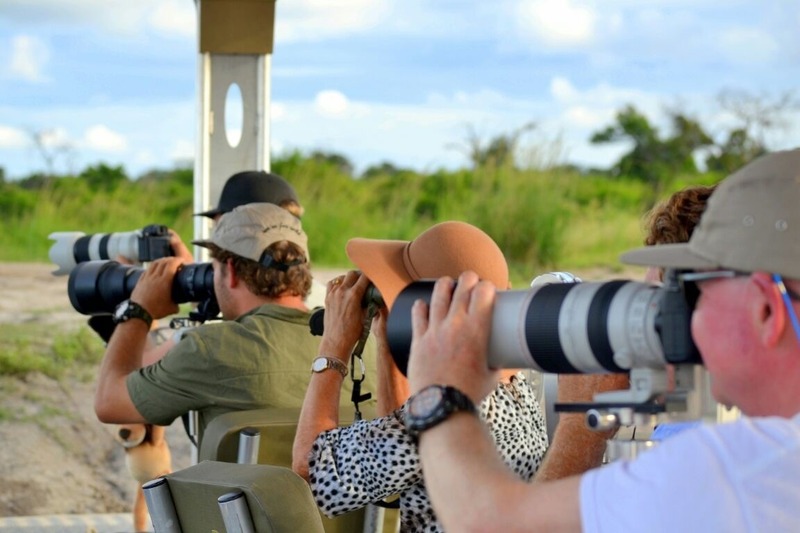 Day 2, 3 – Game viewing drives in the Moremi Game reserve as well as a sundowner boat cruise. Day 4 – Extended drive towards the Khwai Concession for 3 nights stay. 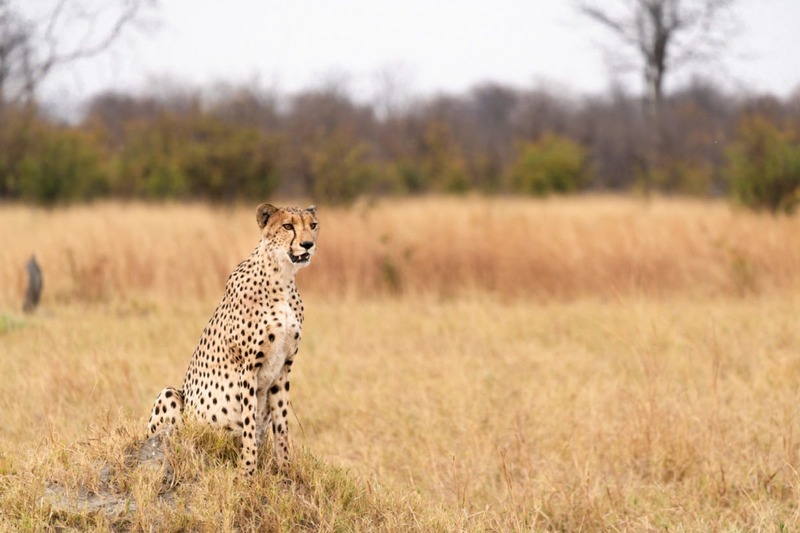 Day 5 ,6 – Game viewing drives in the Khwai Concession. 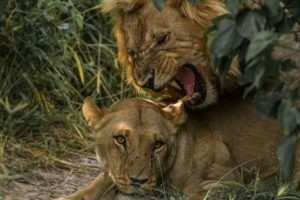 Day 7 – Extended drive towards the Savuti region of Chobe National Park for 3 nights stay. 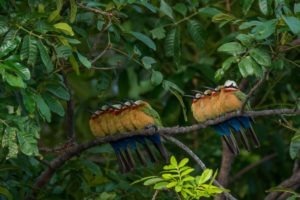 Day 8 & 9 – Game viewing drives in the Savuti region. 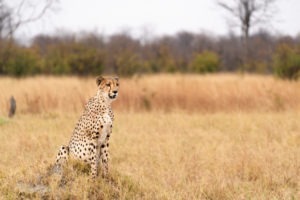 Day 10 – Extended drive towards to Pangolin Chobe Hotel for some luxury. 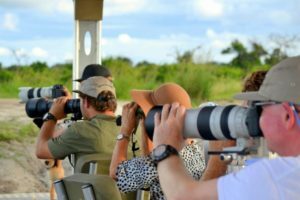 Day 11 – Game viewing activities along the Chobe River front and boat cruise on the river. Day 12 – Breakfast together and then head to Kasane Airport. 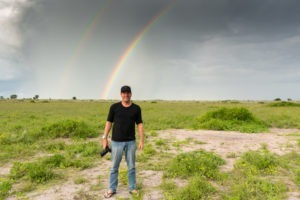 Global Sony Ambassador Craig Parry is a multi-award-winning nature and landscape photographer of international acclaim. Craig’s work aims to present subjects in their natural environment in a manner which seeks to connect audiences with the environment. Portraying the obvious as abstract, his images are engaging and beautiful at the same time. 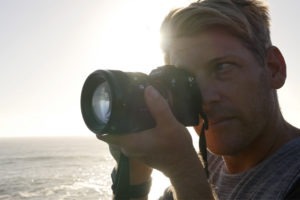 Growing up in Byron Bay, Northern NSW, Australia Craig worked hard at mastering his craft before making a life-changing decision and becoming a full-time professional photographer in 2004 – a defining moment in his life. 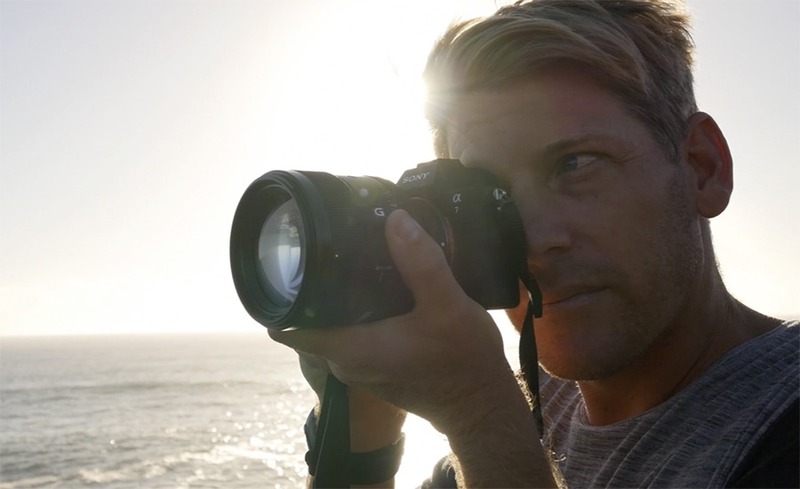 Craig’s stature as a photographer was indisputably confirmed with his receipt of the award ‘International Landscape Photo of the Year‘ (2014) for his image Life & Death, in addition to taking out the award for Outdoor Magazine ‚Underwater Photograph of the Year‘ (2014) for his image Fin Swipe. His most recent award- 1st place- The Ghost- Competition: Golden Turtle International Photography Competition- Category: The Under Water World (2017). His work regularly sees him travelling to all corners of the globe in pursuit of new adventures and unique encounters. 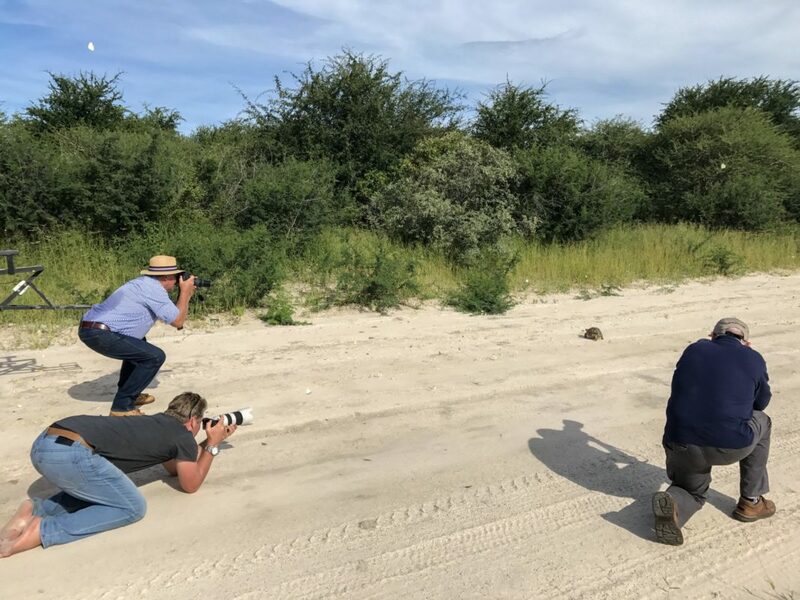 Following a successful photographic expedition through Botswana in 2017, Craig is looking forward to sharing the adventure with photography enthusiasts again in 2019. Make 2019 the year you push yourself out of your creative and personal comfort zones and join us in Botswana for an adventure like no other. 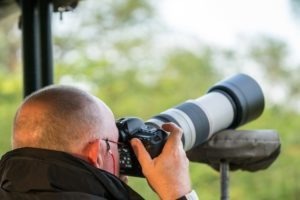 This wildlife photography workshop, hosted by Craig Parry, offers the opportunity to take your photography to the next level as Craig shares with you his insider industry knowledge and all the tips and tricks he has learnt from his 20 years of professional experience as an award winning wildlife and nature photographer. Ahead of departure and throughout the workshop, Craig will work with each guest to personalise their journey to ensure everyone receives a strong foundation in the art of photography suitable to their current skill level making this the ideal workshop for photographers of all skill levels. 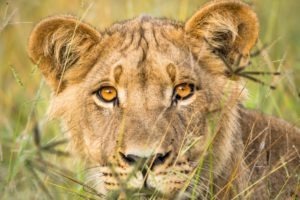 Covering each step of the process from getting the right camera settings for different situations and conditions to editing techniques, each day will provide ample opportunity to improve and build upon your skills so that you walk away feeling confident to capture your own award winning images. 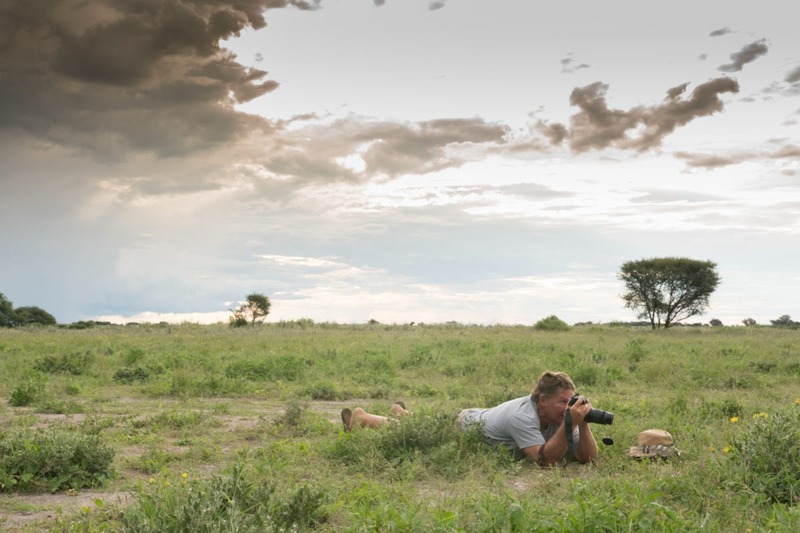 Game viewing can often be cramped and uncomfortable, offering little legroom and no space to store your expensive photographic gear. But not with The Beast! Using The Beast is like an upgrade to business class! This “one of a kind” vehicle is arguably the best game viewer in Africa. 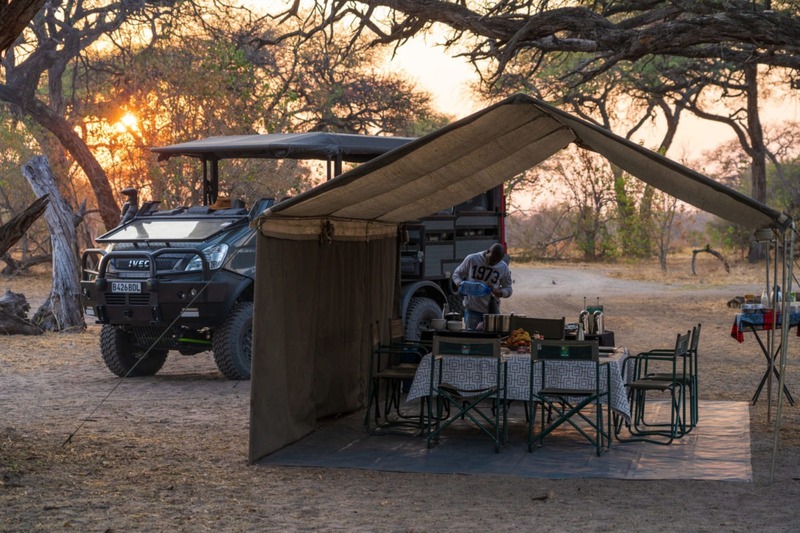 Developed through close collaboration between the best international off-road expedition experts and a group of individuals with local Botswana safari experience, the result has been a vehicle boasting the “next level of luxury and comfort”. It is all set up for you to take the perfect shot! And believe us when we say you going to need to big memory card as the photo opportunities are endless. Please note you don’t need to be a professional to take advantage of all the features. It is a great place to learn about wildlife photography. Your flight will arrive around midday into Maun International Airport where you will be met by Craig and your local guide. Your luggage will be loaded onto The Beast and we will embark on our journey into the bush. We will be heading into the Moremi Game Reserve which will be our base for the first three nights. 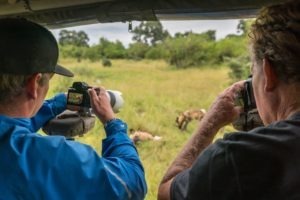 This transfer soon becomes game viewing opportunity, not long into the drive we will be entering wilderness areas with the possibility of viewing animals. 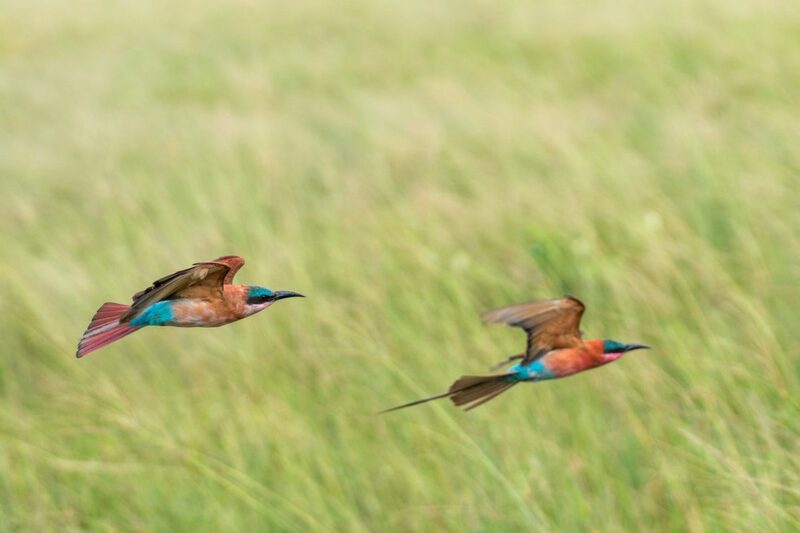 However, our main goal for the drive is to get deep into the Okavango Delta and explore the more remote areas. We expect to arrive at our camp around sunset on the first day, just in time for a hot shower followed by some relaxation by the fire. Welcome to paradise! The next two days will consist of an early morning wakeup calls, just before the sun has risen, at which point we will have half an hour to prepare our things and meet at the fireplace for a much-needed coffee and some food to keep us going throughout the game drive. We will then aim to set-off for the morning drive as soon as we are allowed to, as per the regulations. The first few hours of the drive are the most exciting as the chance to view predators is at its best, and so is the beautiful morning light. A morning coffee break usually takes place in a beautiful spot about halfway through the roughly four-hour morning drive. By this point the temperature is starting to climb and the movements of animals (especially predators) comes to a halt. We then return to our camp with a nice brunch prepared on an open fire which will be much needed after the morning animal search. This is typically the time for showers to take place and a bit of relaxing/catching up on sleep. We will discuss with you our afternoon activity plans which generally involve us heading out once more, about four hours prior to the sun setting. 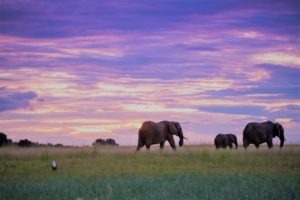 Our plan here is to have a mix of a shorter drive covering some areas we might have missed in the morning, followed by a nice sundowner boat cruise on the Okavango Delta on one of the days. 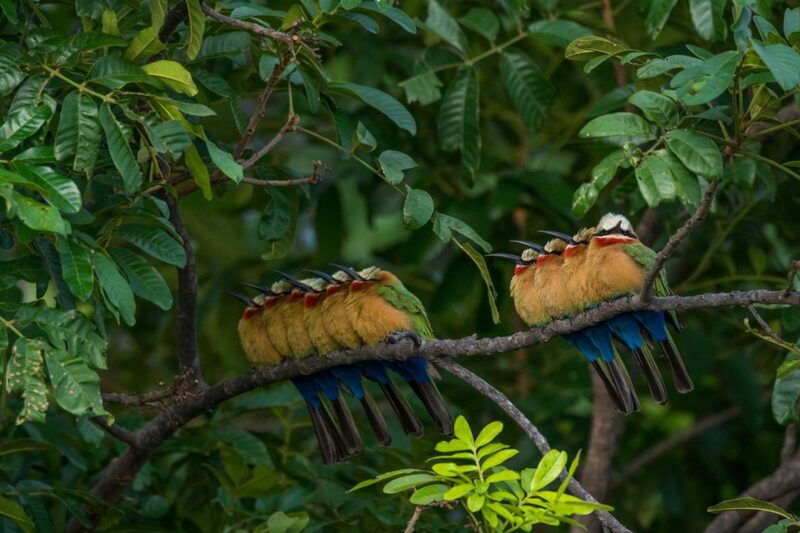 Xakanaka: This region of the Moremi Game Reserve is absolutely stunning. It has a large mix of vegetation types that are very typical of the Okavango Delta and thus there are some target species for us to see. It is located right in the heart of the Delta with an abundance of water. The result of the permanent water can be seen by the large number of huge riverine canopy trees. It feels somewhat like a jungle mixed with a swamp! After another early breakfast and coffee, we set out for one last drive in the Xakanaka region trying to find anything we have missed out on viewing, but after the normal morning coffee break instead of heading back in the direction of our camp we will continue towards the Khwai Concession. We will continue East along the seemingly endless mopane woodland and eventually exit the Moremi Game Reserve and soon to enter our new base for the next three nights, the Khwai Community Trust Concession. We aim to arrive to our same familiar camp and crew (but this time in a different location), around early afternoon for lunch. Following preparations for a short afternoon introductory drive we set off a bit later as Khwai has no strict return time regulations. We will aim to have a sundowner in a beautiful location and celebrate our new home for the next three nights. The drive will then most likely continue a little bit into the night as the use of spotlights is allowed in the area. A huge bonus as we get to view nocturnal animal activity! We will then head back to our camp for a beautiful dinner under the stars and a long night of sounds and smells in this amazing location. Here we will stick to the usual morning routine of early morning wakeup calls, coffee and food before we then hit the road for another day of adventure and photographic opportunities with the local wildlife. 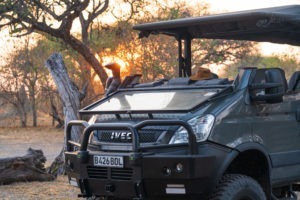 Covering many of the small roads in the huge road network that the area has to offer, we will travel through thick sand, deep water, and through dense bush, all in the search of wildlife and beautiful views. The essential morning coffee stop will happen alongside a pod of hippos lounging amongst the water lilies. 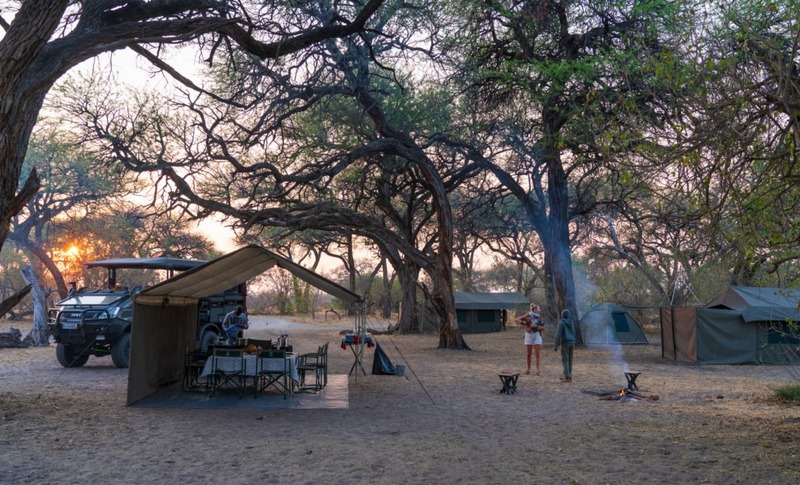 We then make our way back to camp for brunch and to relax during the hotter time of the day and to recharge for the afternoon and evening’s activities and night time viewing of animals. We like to leave ourselves flexible at night to allow the freedom to follow up on the vocalization of lions which when followed often lead us to the opportunity of viewing their nocturnal activities – an unforgettable experience and a real insight into the lives of these big cats. The magic of Khwai is the abundance of animals and the freedom that the concession allows for viewing them in their natural habitat. 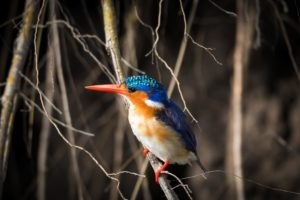 We aim to leave Khwai having viewed and photographed all the Big 4 (no rhinos in the area) and learnt about the beginnings of the Okavango Delta and its complexities. Khwai Community Area: Based right on the edge of the Okavango Delta, Khwai attracts large concentrations of game from the drier regions of surrounding area to the permanently flowing Khwai River. And as a result, the region has high predator concentrations and this will be the area we focus our attention on. The area also has a real wild feeling, like we truly are in a strange but wonderful place. This morning we start with a brief drive in the Khwai area before heading North East to the Chobe National Park. One of the best parts about this longer travel day is that it is a beautiful one. We will be travelling North all along the Mababe depression which is a vast, seemingly endless grass plain which has an abundance of life. We have the chance of game viewing and photographing opportunities throughout the drive. At the most northern tip of this grassland is Savuti, our home for the next three nights. We aim to reach the camp at around midday, at which point we will be shown around the camp and could relax and have some lunch. We will then prepare for the first afternoon of game viewing which will be our first introduction to the Savuti area, an introduction which will also provide an insight into the history of the area. We will be learning of the recent movements of animals from other guides so as to know where to focus our search for the elusive creatures. Please note that as Savuti is within the Chobe National Park, there are set return times for when we must be back at camp so night viewing activities will not be possible in the area. We have allowed for two full days of safari activities in Savuti in order to give us the best possible chance of finding and viewing our target species for the area. And also, to cover and explore the many roads and beautiful areas that Savuti has to offer. 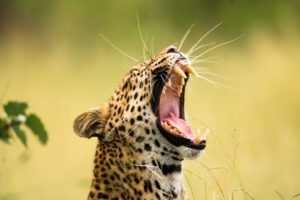 The days consist of an early morning wakeup call before just the sun has risen at which point we will have half an hour to prepare our things and meet at the morning fireplace for a much needed coffee and some food to keep us going throughout the game drive. We will then aim to set off for the morning drive as soon as we are able to, as per the regulations. 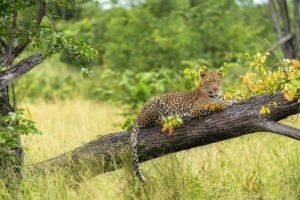 We usually start by scanning the hills and surrounding areas for the chance of leopards before moving through the woodland areas and eventually into the open plains as the day heats up. A morning coffee break usually takes place in a beautiful spot about halfway through the roughly four hour morning drive. By this point the temperature is starting to climb and the movements of animals (especially predators) comes to a halt. 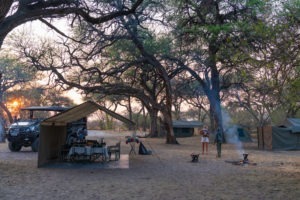 We would then return to our camp with a nice brunch prepared on an open fire which will be much needed after the morning animal search. This is typically the time for showers to take place and a bit of relaxing/catching up on sleep. We will discuss with you our afternoon activity plans which generally leave about three hours prior to the sun setting and include the traditional safari sundowner stop where we park the vehicle at a scenic spot where we can watch the sun set as the drinks flow. Savuti – Chobe National Park- Savuti, also known as Savute lies in the heart of Botswana’s beautiful Chobe National Park. This dynamic wilderness is a sweeping expanse of savannah brooded over by several rocky outcrops which guard a relic marsh and the dry channel that was once its lifeline. The Savute goes through wet and dry cycles, where wild dogs hunt in the dry river channel where crocodiles could be found swimming only a few years ago. Visitors to this spectacular area can spot abundant wildlife which include a variety of birds, elephants, antelope, lion prides, black-backed jackal, bat-eared foxes, tsessebe, kudu, hyena, cheetah, Cape buffalo herds, and thousands of migrating zebra and wildebeest. This morning we will only be spending a small amount of time in the Savuti region before making our way North East to our new destination along the Chobe River. This drive takes us out of the Chobe National park briefly before entering it again as we approach the river. 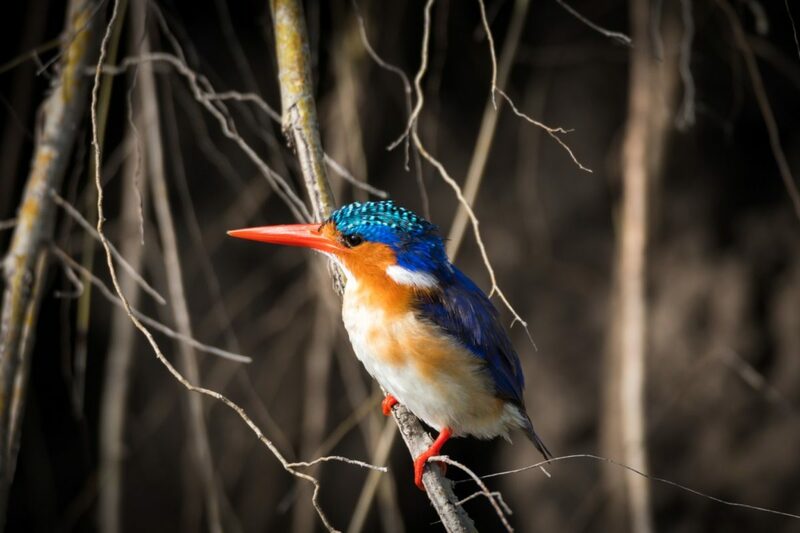 This section of river is a must see when visiting Botswana, having large concentrations of wildlife at this time of the year, particularly along the river frontage where most of the action happens! The animal life that occurs here is much the same as what we encountered at the other locations, however in seemingly higher densities and we expect elephants to steal the show! 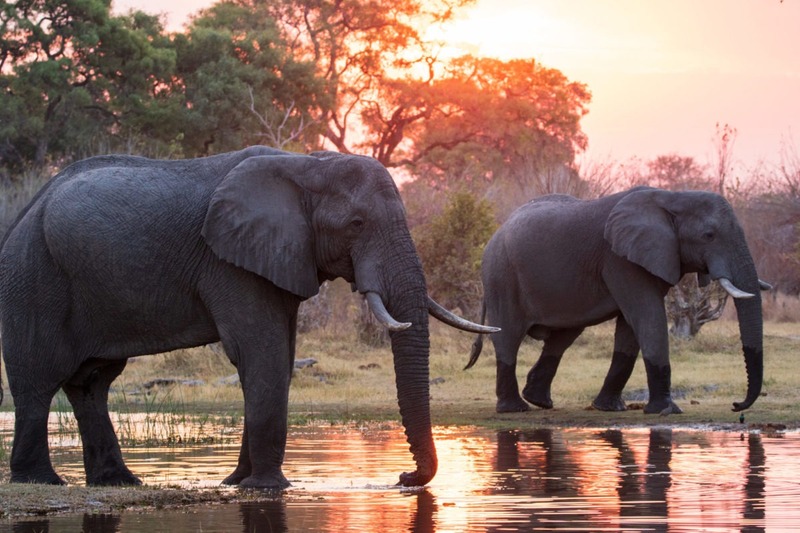 This time of the year the Chobe River is a magnet for elephant activities as the water in the surrounding areas dries up. Our goal here is to get the final vehicle shots we still need after all of our training and practice throughout the trip. Our drive ends at our accommodation, Pangolin Chobe Hotel. Here we say ‘goodbye’ to The Beast and ‘hello’ to a little bit of luxury. We aim to relax a bit at our new accommodation for a few hours and indulge in some well deserved lunch. For the afternoon, however we will set off on our final photographic opportunity which is a boat cruise along the Chobe river. We will travel West along the river along the Chobe National park and expect to see plenty of wildlife coming down to drink in the late afternoon light which will be the perfect time to let our cameras loose and get those perfect shots. Today we will have a lovely breakfast together before heading to Kasane Airport. Our trip has come to an end. You may like to extend your trip by a few days and visit the mighty Victoria Falls, if so just let us know and we can assist in arranging this. Otherwise you leave Africa with a lifetime of memories and most likely thousands of photos.